Natalie is a social outcast. She has no friends and no one notices her. Until one day a boy comes and moves to Natalie's school. Natalie didn't think that she would fall in love with Thomas. Or anyone at the most. Elisabeth is the sister of the famous Kaya Scodelario. One day, she gets to meet the whole cast, including her crush, Thomas Brodie-Sangster. Follow Elisabeth and Thomas on their road to love! Ugh I hate him. He thinks he rules the world. He thinks he should always pick on me. We are teenagers for gods sake! Can't he just grow up! 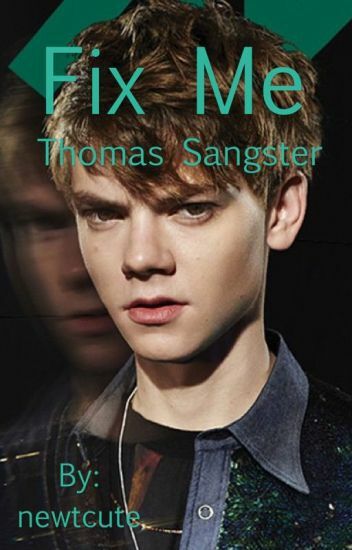 Thomas Sangster is the thing at school. He's the stuck up rich snob who thinks he is so cool because of his exotic accent. Hi I'm Truth, And I'm 16. I hate high school it's such a hellhole. School doesn't work for everyone. Some people want to be creative and think outside the box, and do things that are actually going to be used in the rest of their life, but high school stops people or, at least me from exceeding my life goals! Now I have to ride out high school and wait for my life to begin. High school is full of things I never want to do in life but high school is what I have to get through first to get through life. I guess I've learned a lot more then most of the kids here like how to deal with bullies, and how to get through crappy day after crappy day. Brooke has never been the type of girl who falls head over heels for a boy. In fact, she didn't believe there was one kindhearted boy at her school. Besides, Brooke has everything she needs, a heaping stock of books, a hilarious bestfriend, and her adorable dog. So who needs a relationship, right? But when she meets a cute new exchange student, will all of that suddenly change? Maybe she was wrong about her feelings the whole time? Maybe this boy could be the boyfriend she has secretly wanted her entire life. 16 year old Kiley has always wanted to meet the cast of The Maze Runner. On Christmas, when she discovers she has tickets to the next Comic Con, will her dreams finally come true? Kiley is not only going to meet the cast, but may form a friendship with them as well when she accidentally bumps into one of her favorite actors..
Little does she know, this experience may change her life forever.. for better or worse. Natalia is a senior who is going to London for a foreign exchange student program. She doesn't know who she's staying with. She wanted it to be a surprise. But at the airport Thomas Brodie-Sangster picks her up. What happens? Read 'Places' to find out! I entered into the plane and looked for my sit. Elena Jones is taking an exchange program to London for high school. She is a timid girl who maintains excellent grades and strives for the best. There, she meets a boy who goes by the name of Thomas. Except... he is a bad boy. Elena doesn't mean to fall for him, but she has no choice when she is partnered with him for a project. But will he even want to cooperate? Days go on, and she is finding it harder and harder to stay away from this boy. Soon her grades begin to drop and she falls exactly where Thomas lies. But she can't help it. Something about this British bad boy is making Elena fall head over heels for him. Join Elena as she attempts to maintain the uneasy balance of passing her school year in London and falling in love with a bad boy. Brooke and Thomas have created a new life together, and everything seems fine. But at what cost? Thomas has moved to America to spend his life with his fiancée, Brooke, just after he finished highschool. They've exchanged vows, and are a happy, married couple. Can these newly wed lovers overcome the obstacles of adulthood and the real world?